Angelantoni ACS is world-famous since 1952 for its design and manufacture of a comprehensive range of environmental test chambers, from the compact bench-top temperature and humidity test chambers to the most complex high tech systems such as Thermal Vacuum chambers for aerospace applications and Calorimeters. We have developed, side by side with ACS, the new management system for walk-in chambers, vibration test chambers and altitude chambers. The chambers are equipped with a PLC (Programmable Logic Controller), used to manage all chamber functions and safety interlocks. 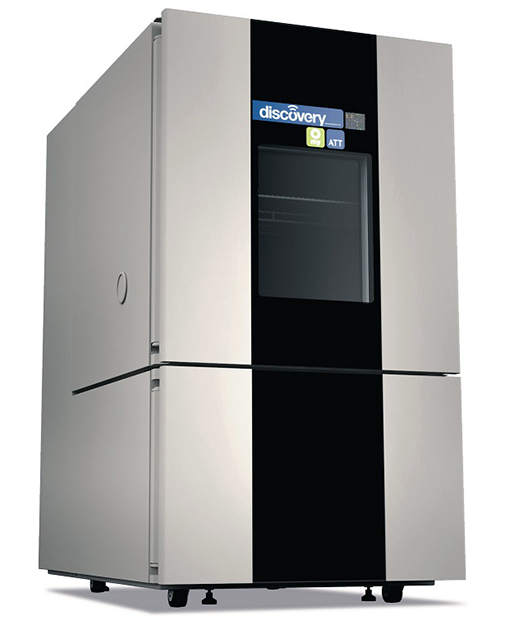 Our Gu@rdian Evo is used to manage the chamber locally or by remote using desktop, tablets and smartphones. The HMI system consists of an on-board panel (Keykratos Evo) and the new interface MyKratos™, developed by SPES, which includes the innovative MyAngel24™ remote assistance system. MyKratos™ requires no installation and is accessible from a PC via web browser (Google Chrome, FireFox) or through the free app developed for mobile devices (tablets and smartphones). 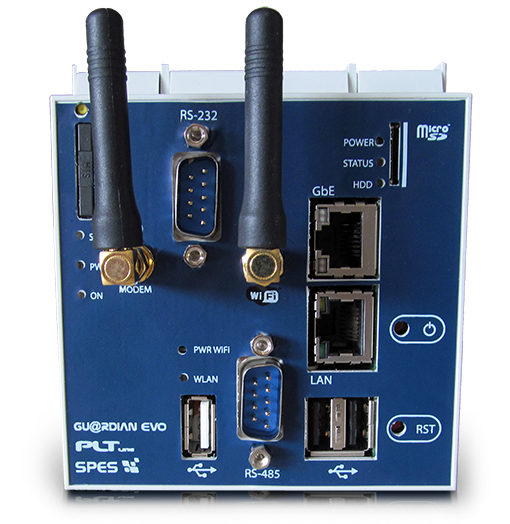 The Gu@rdian Evo encloses every function of a modern SCADA in one architecture that allows to implement monitoring and control tasks for many different plant’s topologies and types. The system is accessible everywhere: the users access the SCADA function through an internet browser or custom iOS/Android App, locally or by remote. Find out more about Guardian Evo on the product page.